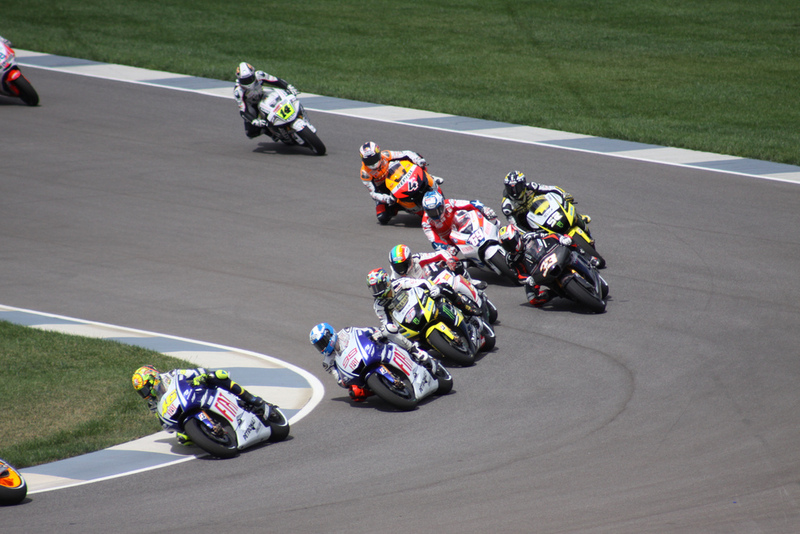 Tilted Horizons: Red Bull Indianapolis Grand Prix preview - The MotoGP Season heats up! Red Bull Indianapolis Grand Prix preview - The MotoGP Season heats up! The Red Bull Indianapolis Grand Prix is to be held this year from 16th to the 18th of August and is, as always, a must-see event in the MotoGP year. Indianapolis is of course the iconic home of motor racing, having been hosting races since 1909, but it is relatively new to motorcycle racing, the Grand Prix this year being just the sixth one staged there, but the city has taken the bikes to its heart and the crowd will be enormous. The bikes race on a similar layout to the one used for the F1 US Grand Prix, running anti-clockwise on a 16-turn road circuit of just over two and a half miles that incorporates part of the Speedway’s famous oval. If you like your bike races exciting, then Indianapolis is the place to be this August. 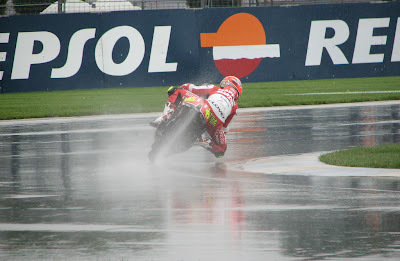 MotoGP events are really exciting to watch, being faster and shorter than F1 Grand Prix races. Only a small proportion of the general population ride a motorbike at all, let alone at such incredible speeds and on such challenging bends. Unlike F1 which seems quite tame by comparison, you don’t have to be a rider to understand the thrill of it all. When you are next looking for Express Insurance, think what it must be like to routinely ride in such conditions – not exactly run of the mill commuting, that’s for sure. Thirteen teams are competing at the Red Bull Indianapolis Grand Prix this year and it promises to be a tight race. Marc Marquez, riding for the Repsol Honda team will certainly be one to watch; he has been in the top five – often number one – in all the Grand Prix races of this season bar one. His team are nine-times winners of the World Riders’ Championships and looking good for another year. If you are due a holiday, why not make the Red Bull Indianapolis Grand Prix part of it. Although distances are relatively large, travel in the US is easy and comparatively cheap, so you could include lots of other sightseeing in your break quite easily. In Indianapolis you are, for instance, less than three hours drive from Chicago and in the other direction there are any number of national parks to enjoy. There are also loads of historical sites to visit, from Lexington to Little Rock (for all the Bill Clinton fans out there). If you opt for Chicago, once you are on the shores of the Great Lakes you are in for a treat, with some of the most beautiful countryside in the area at your feet. Getting to the Red Bull Indianapolis Grand Prix is really easy as the International airport is close to downtown Indianapolis and there is a really efficient shuttle bus. Airports don’t usually create too much affection from users, but this one seems to be really popular with everyone who uses it, as it is efficient, clean, and most importantly, cheap to get food and drink.